Casitas del Rio - "little houses" on the river or Jungalows. 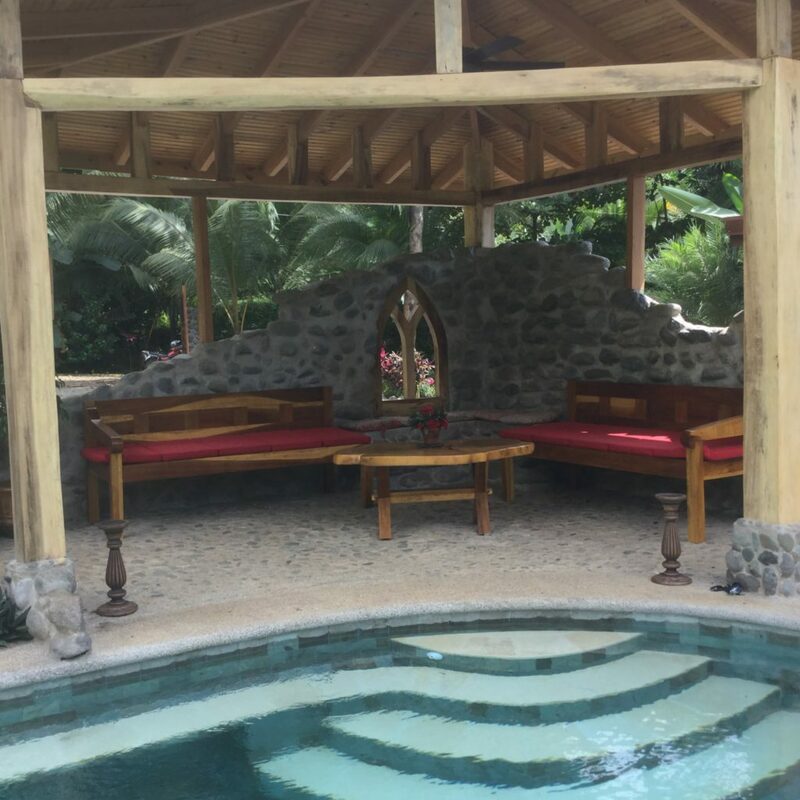 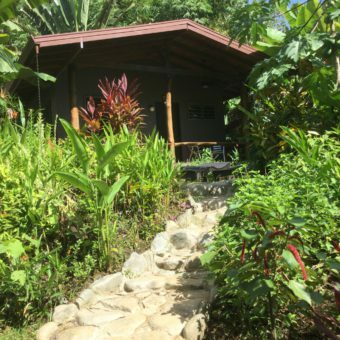 Our 3 individual luxury accommodations are nestled among the trees in a private hidden cove along the Morete River, one of the most pristine rivers in Costa Rica. 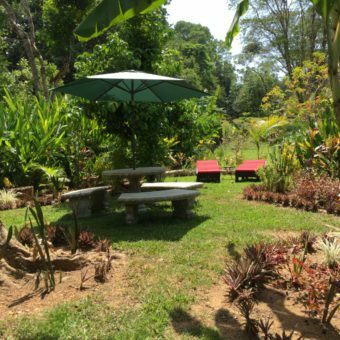 We have an abundance of visiting wildlife including White faced monkeys, Toucans, Scarlet Macaws and sloths to name only a few. 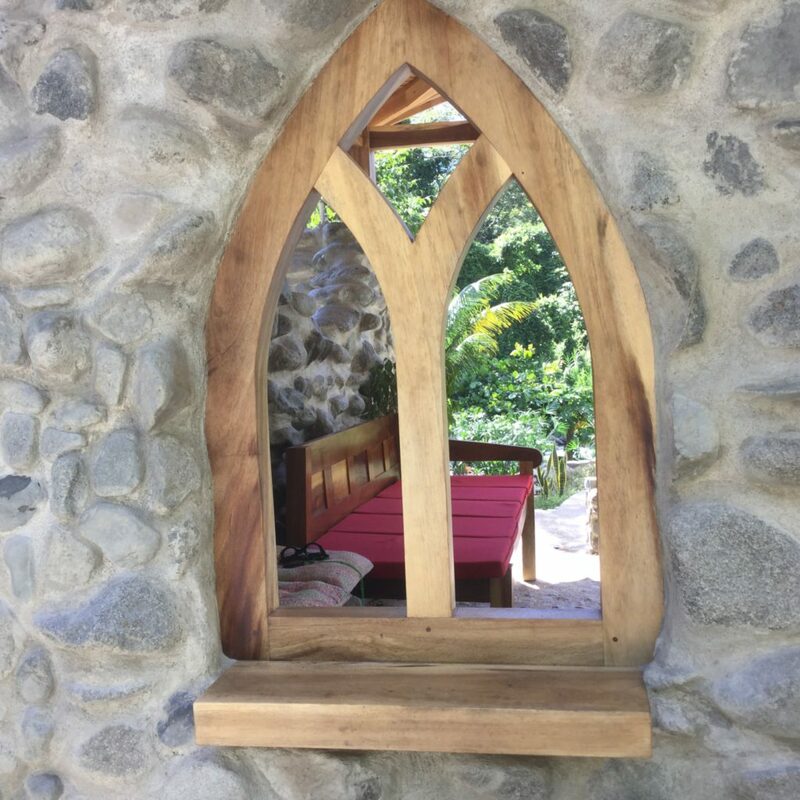 Each of our 3 beautifully designed high quality Casitas sleeps 2 people and has a queen sized bed. .
Our location allows quick and easy access to beaches, grocery stores, restaurants, banks, and many adventures. The small town of Uvita and the lovely beaches of Playa Ballena, Playa Colonia, and Playa Hermosa are a 5 minute drive from your Casita. 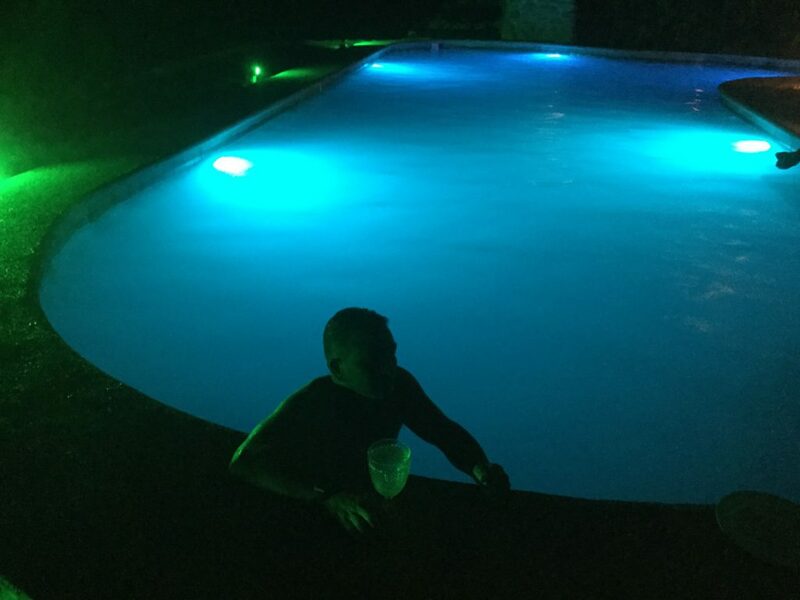 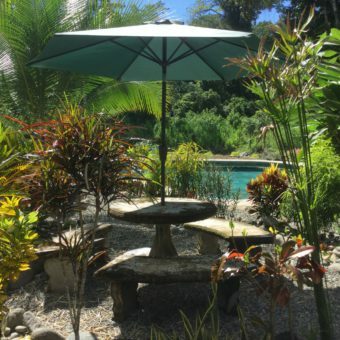 Dominical, the popular surf town with its funky bohemian beach bar vibe, is a 12 minute drive north, or enjoy international dining in Ojochal, 20 mins South. 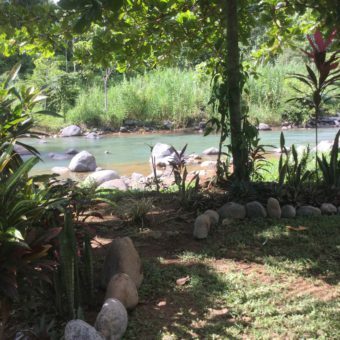 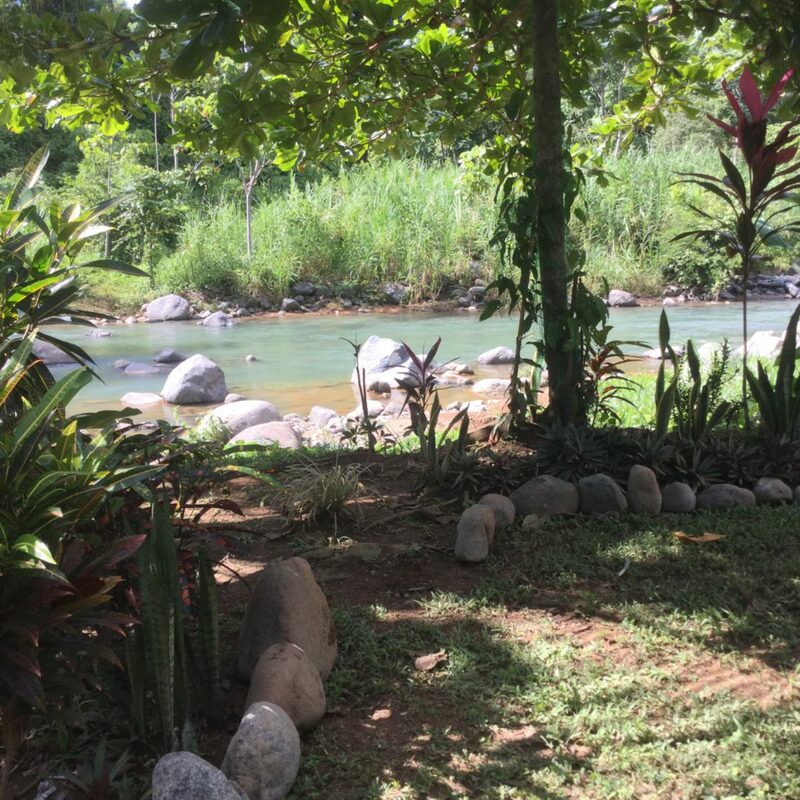 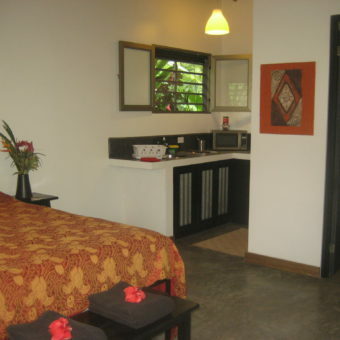 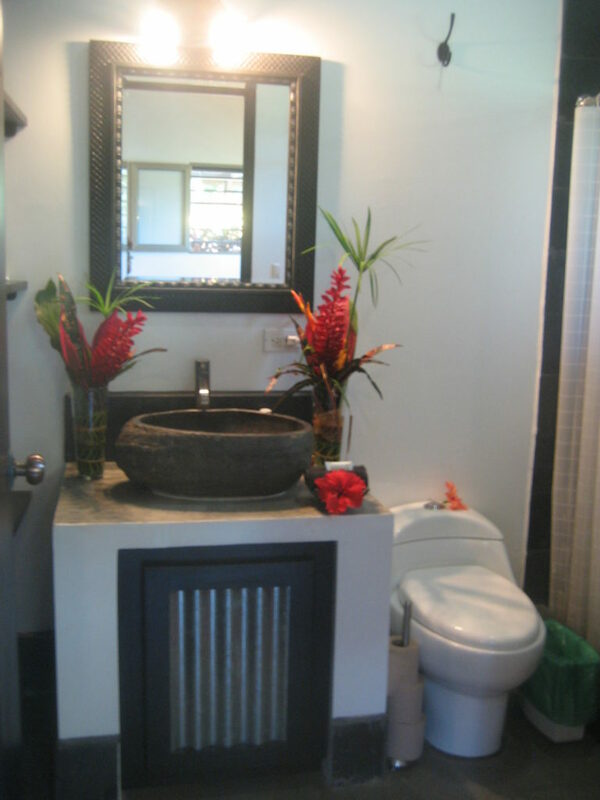 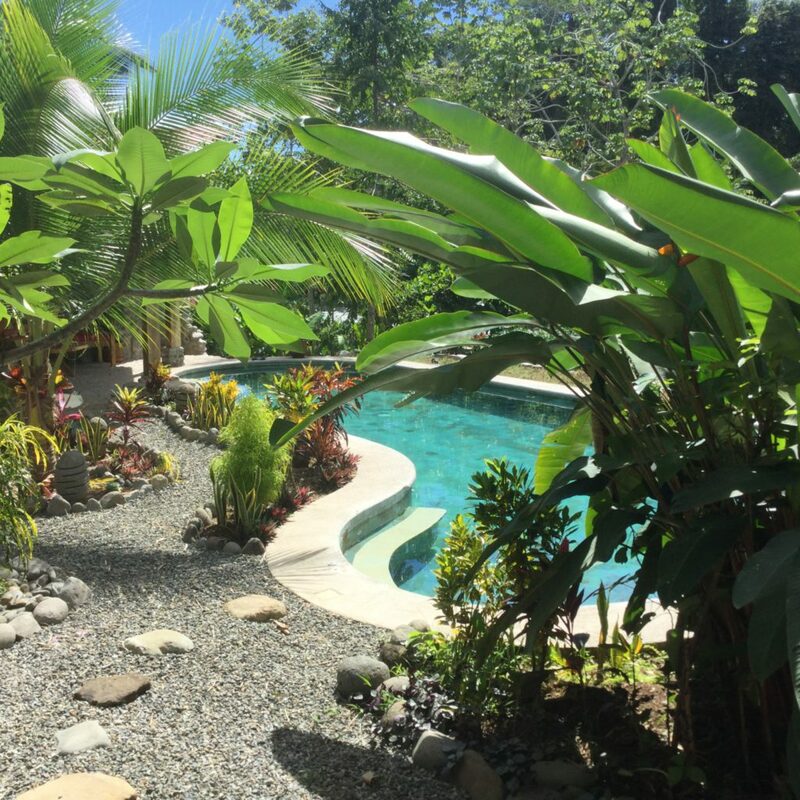 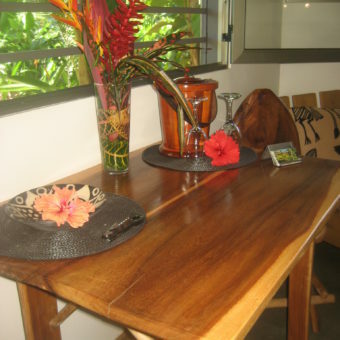 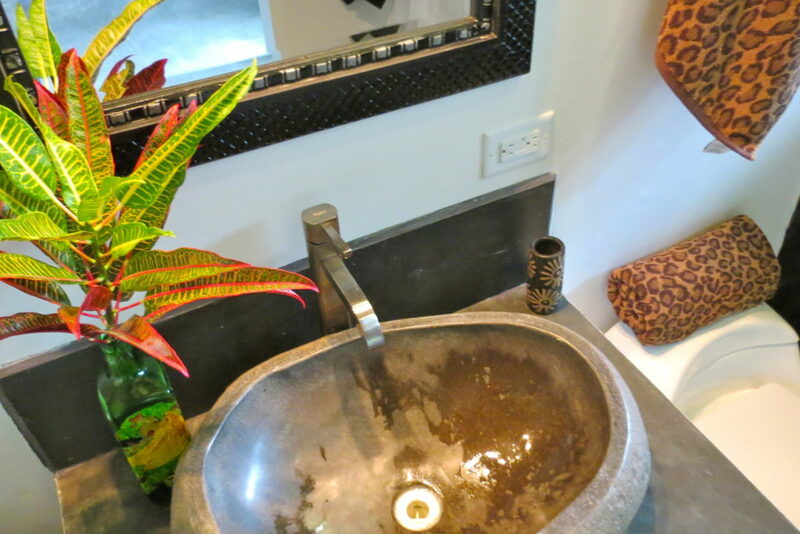 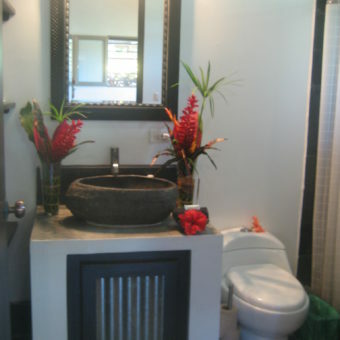 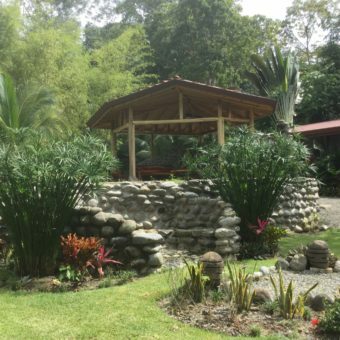 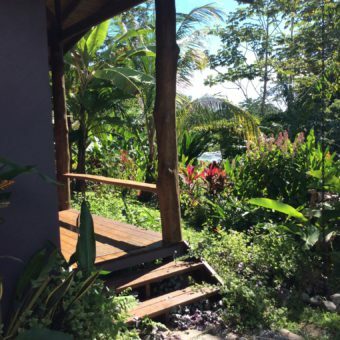 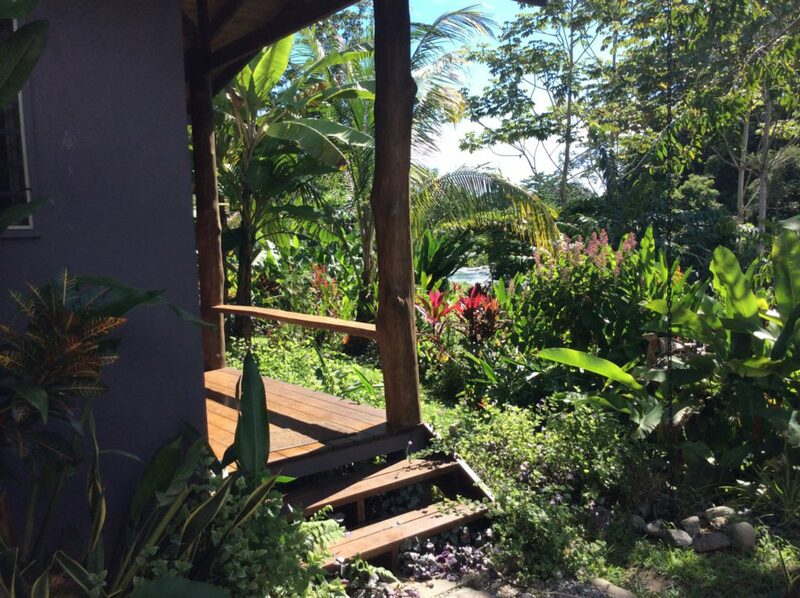 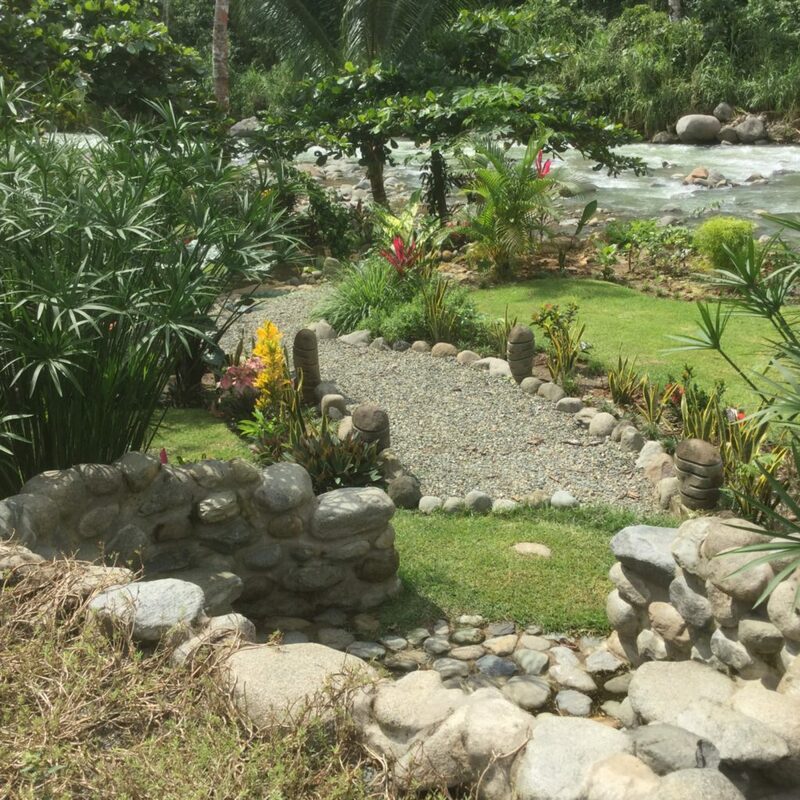 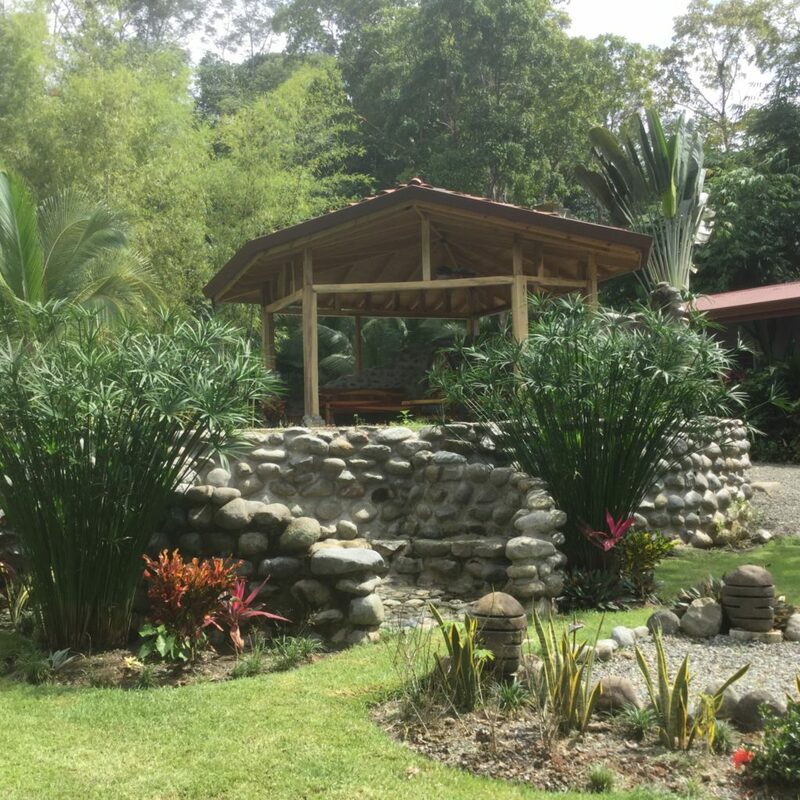 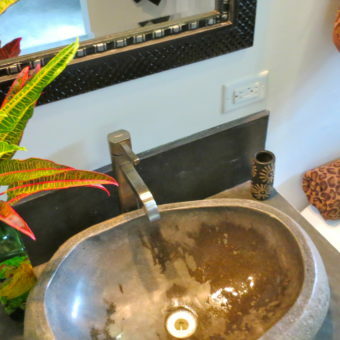 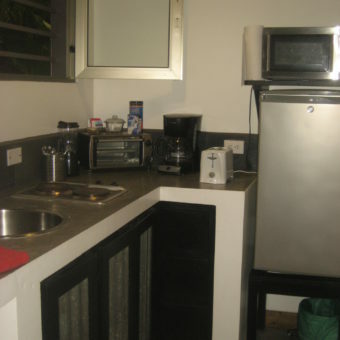 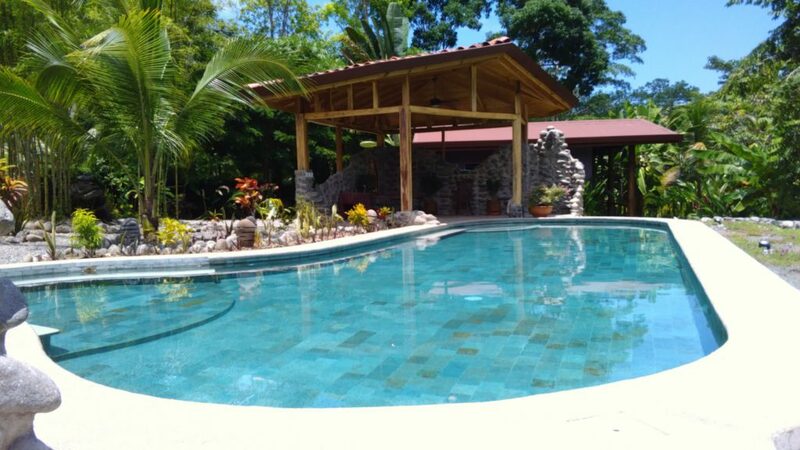 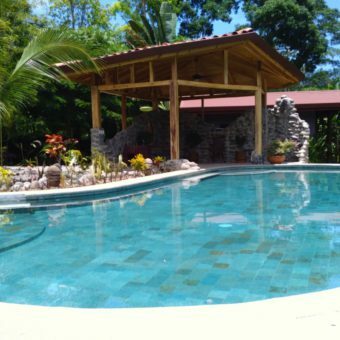 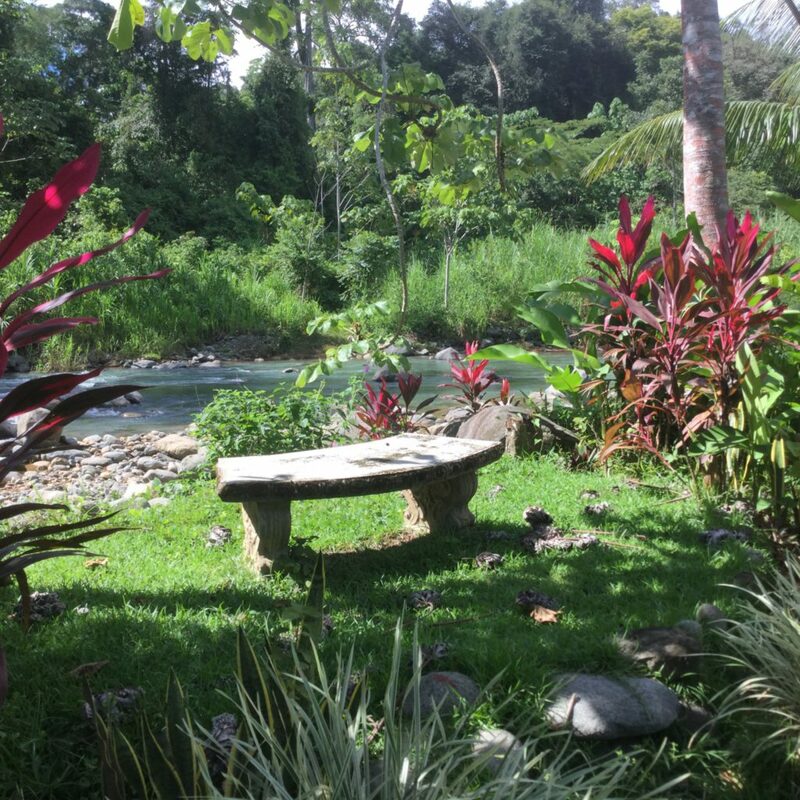 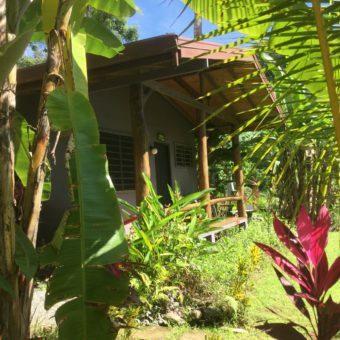 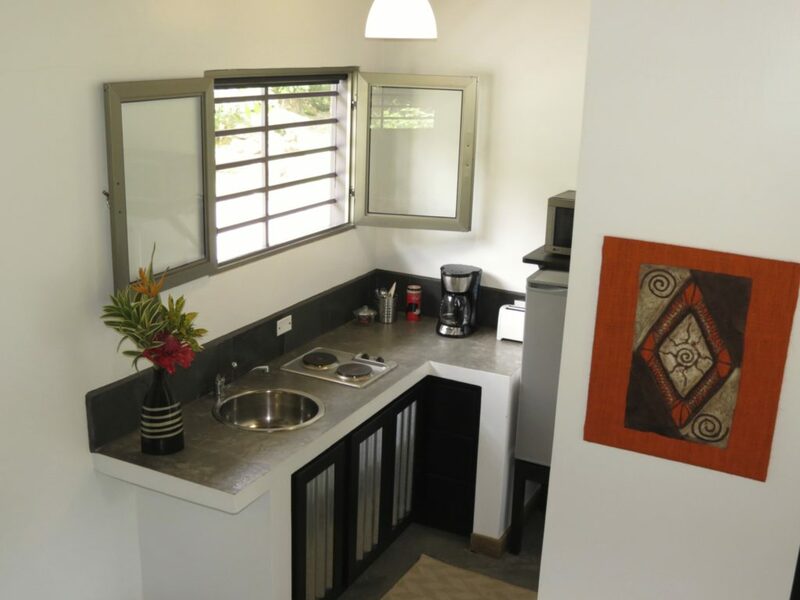 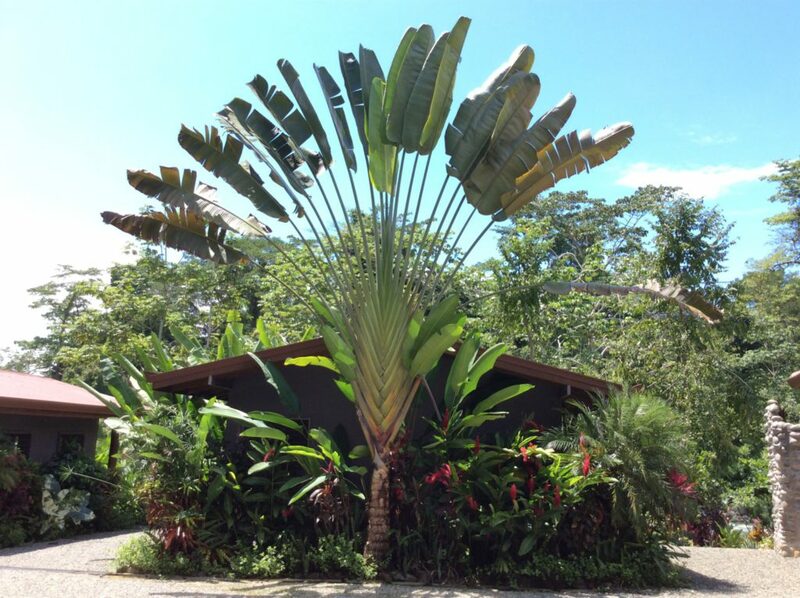 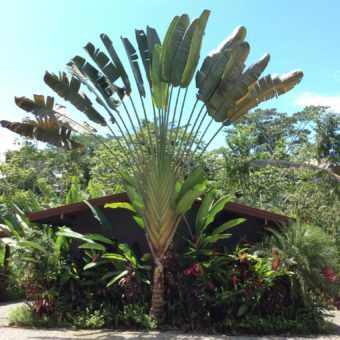 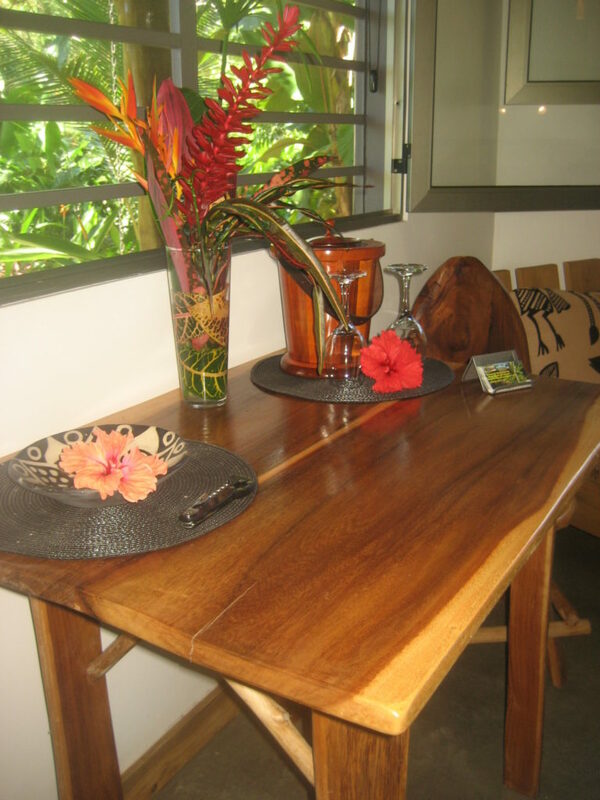 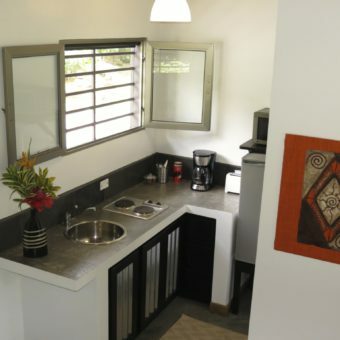 Outside your casita you will enjoy the lush tropical plants and trees that surrounds Casita Del Rio and provide you with the true jungle feel. 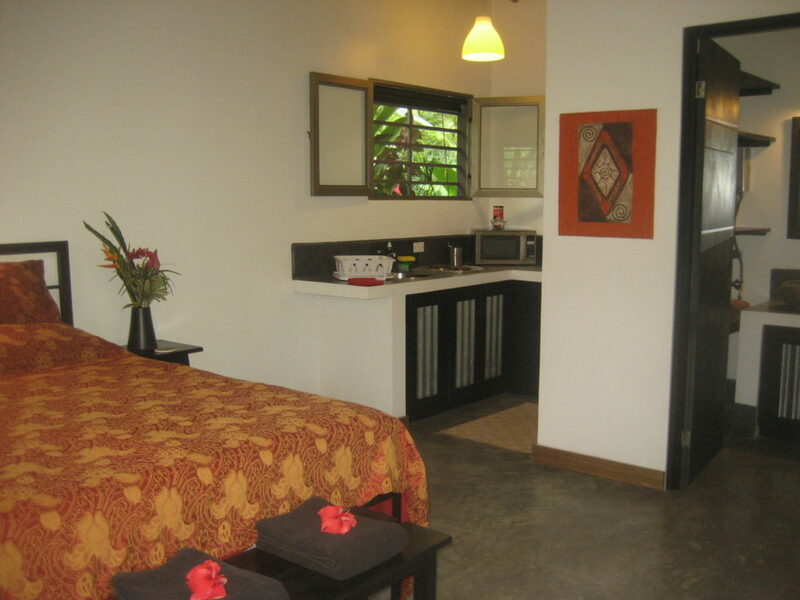 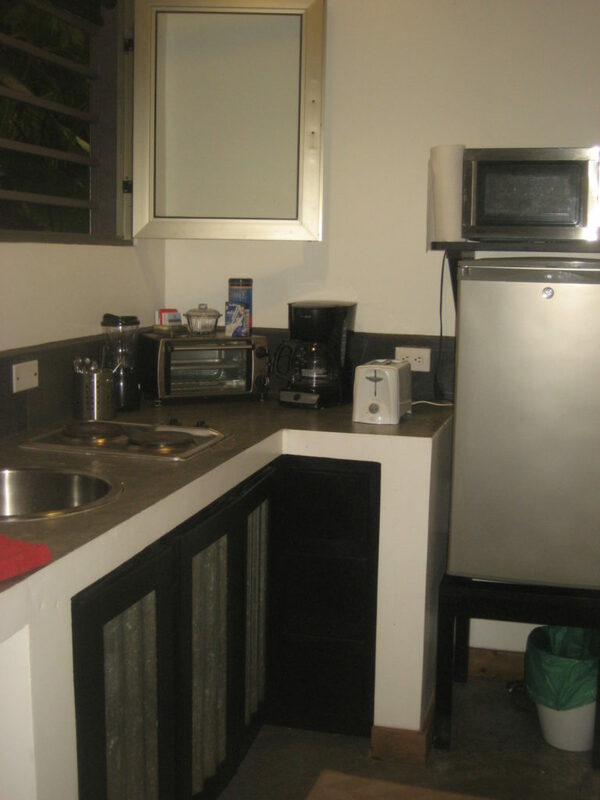 There is private secure parking next to your accommodation. 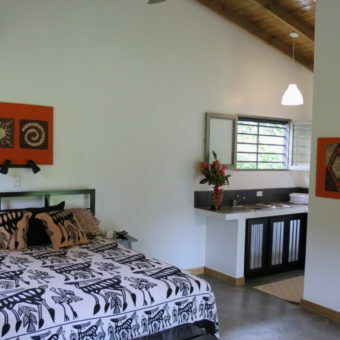 The porch is covered and has the added benefit of a ceiling fan with a view of the river and jungle. 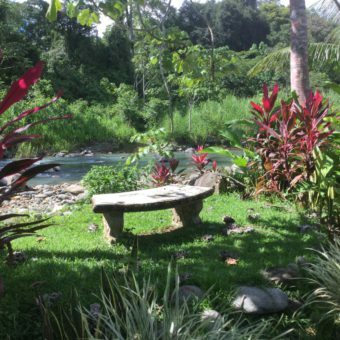 Hear the Congo monkeys howl, watch the toucans fly from tree to tree, dip your toes in the cascading ripples of the river right in front of your porch, take a leisurely stroll up-river to discover the natural swimming holes and a hidden waterfall, and then come back and grill up on the BBQ in the garden, or just relax in our 50ft pool. 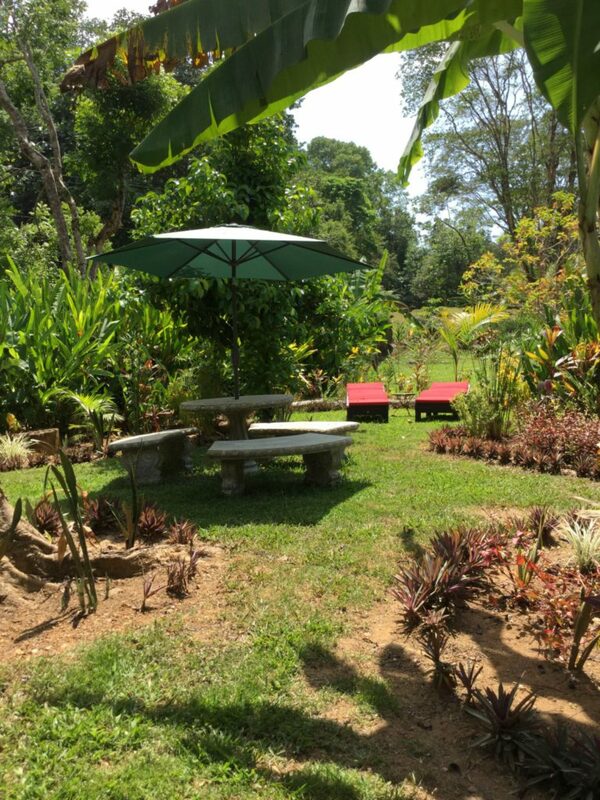 We take bookings for individuals, families or groups. 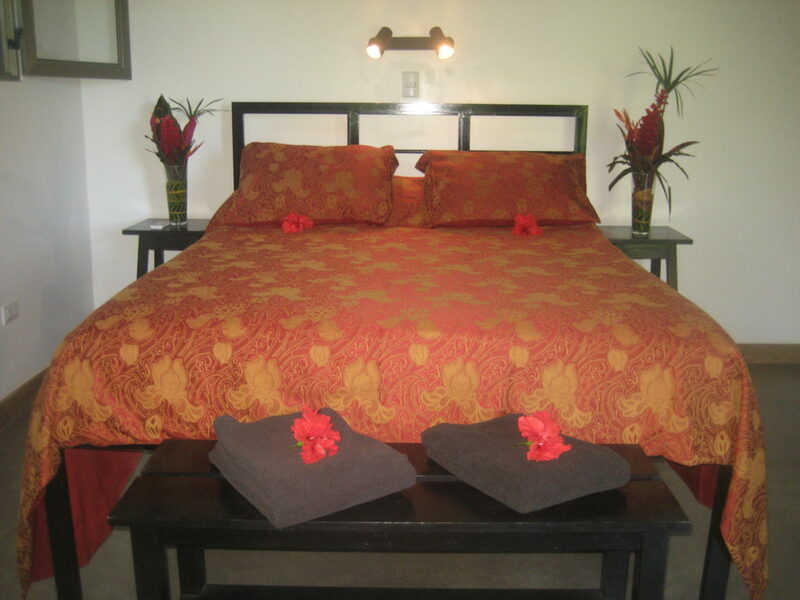 Rent all 3 Casitas for a private family or friends get-away, or an intimate wedding ceremony. 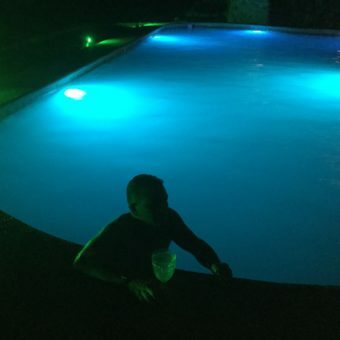 IMPORTANT NOTE about our posted rates. 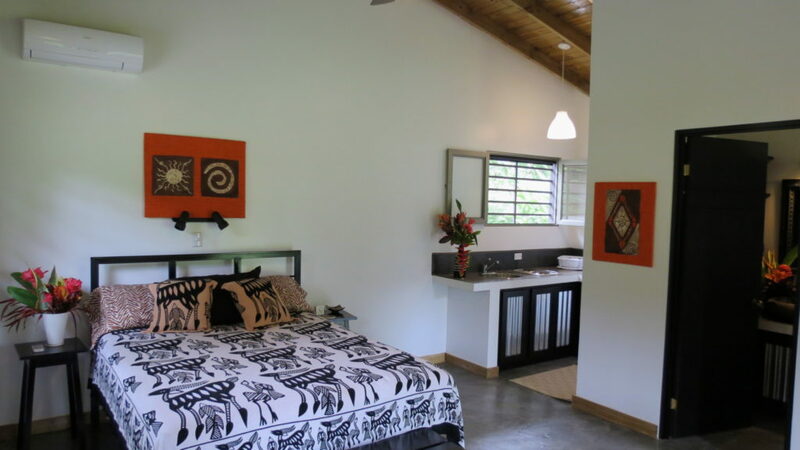 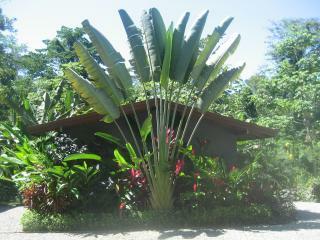 The rates listed are for 1 Jungalow (Casita) only, which sleeps 2 adults maximum. 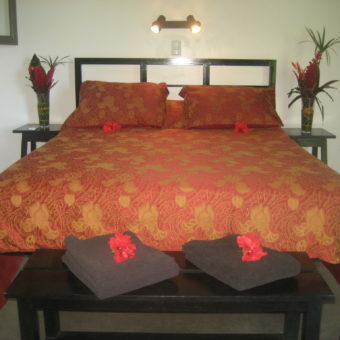 If you wish to rent 2 or 3 Jungalows, please multiply accordingly.